I officially started Writer’s Atelier after I graduated college. It was originally just an editing company. I realized I had an eye for editing when all my friends would ask me to look over their essays while I was an undergrad. Before I knew it, I was looking over quite a few papers every week and I got to the point where I could no longer do it for free. I started small: I continued to edit college essays, personal statements for high school students and then eventually got into editing novels, and nonfiction books once I finished my MFA. I realized that not only did I love writing, but I enjoyed helping other writers succeed. I loved to teach. So, I dusted off my resume and started applying for creative writing positions at a few schools in Tampa, where I resided. The problem was that those jobs were, and still are, tough to get. But I knew I could teach creative writing. I had already studied creative writing at the undergraduate and at the graduate level, plus, I studied the industry daily (and still do) by reading craft books, literary magazines, literary newsletters and by following reputable craft and publishing blogs. If I wasn’t going to get a job at one of the local colleges, then I would start my own classes. I got to work immediately by developing lessons and searching for locations. I quickly learned there was hardly anything I could afford. I would have to get the word out about the classes, and I had no idea how many people would show up. Having my own space or office to conduct business would be ideal, but I was working as a part-time receptionist and there was no way to put something like that in my budget. I finally found a small coffee shop that let me use their conference room for a low price, but the location wasn’t ideal. I used the space for a little while, but I always had the idea that I would move back to my hometown, Orlando. Through my research I discovered writing centers such as The Center for Fiction in New York, Grub Street in Boston, The Loft Literary Center in Minnesota, and The Porch in Tennessee. I searched to see if we had anything like that in Florida, but nothing came up. I kept thinking to myself: Why don’t we have something like that in Florida? I got it in my head that I was going to eventually start a writing center. I wanted to create a safe place for writers to gather, regardless of the genre they wrote. I wanted to create a place where writers could learn and work on their craft. I wanted a place where writers could benefit from the space and from workshops and not have to worry about the price tag. I moved back to Orlando in 2013 because I did end up getting that teaching gig. At the time, I still thought that opening a writing center was a long way off. But then, as I was researching spaces in Orlando, I found one I really loved in Winter Park. I always say that Writer’s Atelier fell into my lap. Before I knew it, I was getting all the necessary paperwork in place, and committing to a real, live business. Writer’s Atelier now hosts writing workshops and other literary events, offers quiet writing space where writers can write, and provides editing for writers of various genres, businesses and students. We do have to keep the lights on, so we charge small fees or take donations for most of our programming, but we try to host free events when we can. We still have a long way to go and there’s still so much we want to offer, but we’ll eventually get there. In the meantime, we want to encourage writers to come to our events and workshops. We’re pretty open to new ideas and to writers who want to host their own events. Our door is always open. 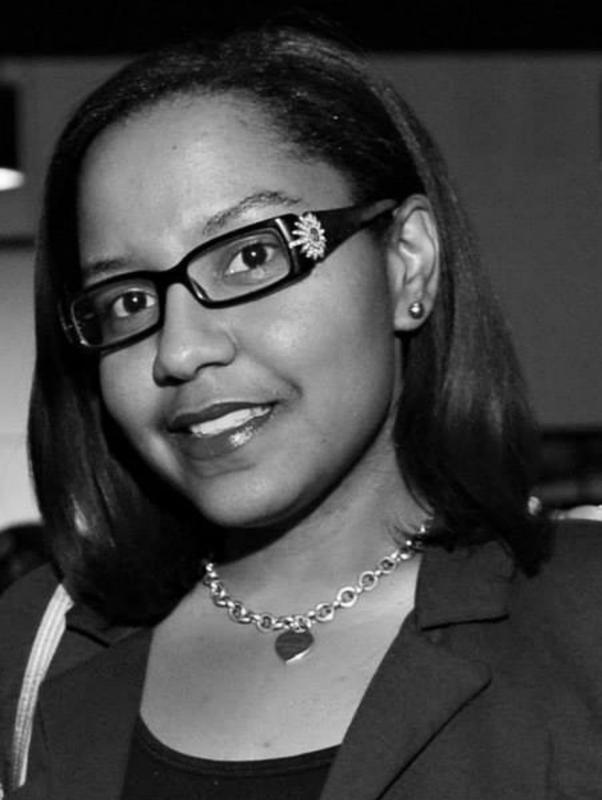 Racquel Henry is a writer and editor with an MFA from Fairleigh Dickinson University. She is also a part-time English Professor and owns the writing center, Writer’s Atelier, in Winter Park, FL. In 2010 Racquel co-founded Black Fox Literary Magazine where she still serves as an editor. She writes literary, women’s, and recently YA fiction. Her stories have appeared in The Scarlet Sound, Blink-Ink, The Rusty Nail, Freight Train Magazine, Zest Literary Journal, and Lotus-Eater Literary Magazine.